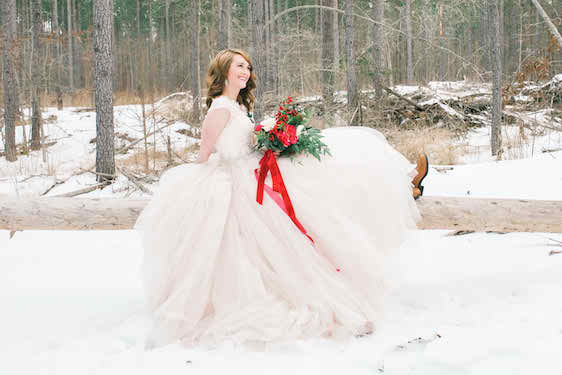 Fresh snowfall, the prettiest red and white bouquet, and the most twirl-worthy wedding gown I ever did see? Get ready for your daily dose of color, you guys! You see, bride-to-be, Kristen, always dreamt of having her bridal portraits taken in the snow... and as fate would have it, her dream came true! And lucky for us? Kristin Partin Photography was there to capture all of the pretty! 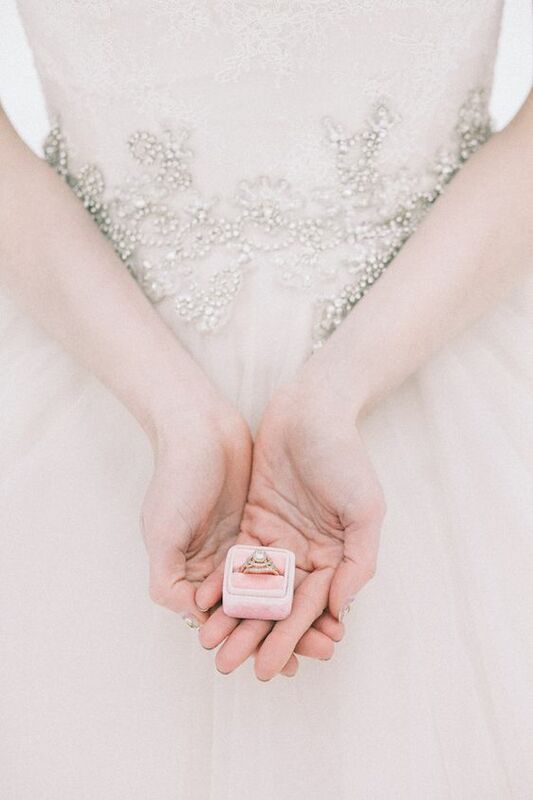 Some standouts you'll want to be on the lookout for include this twirl-worthy gown with it's blush skirt and lace bodice, a vintage inspired engagement ring, and the most gorgeous velvet ring box. 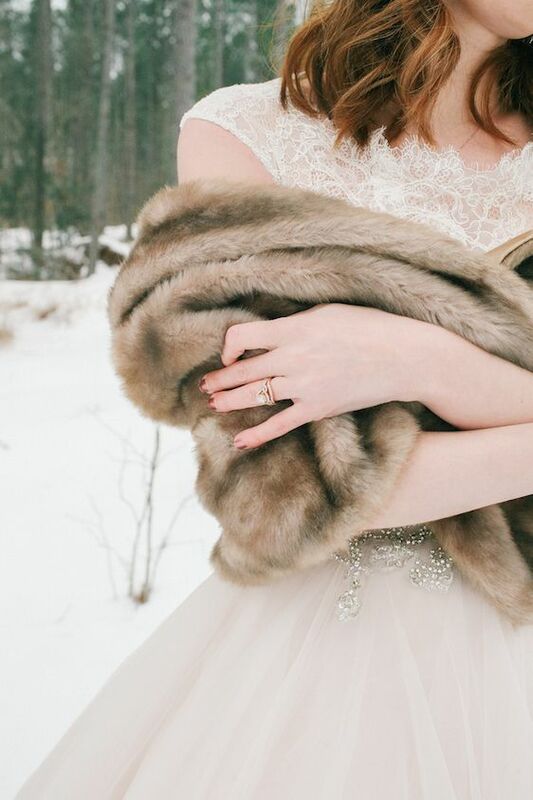 Totally swooning over how the snowy, white landscape is contrasting with her gown..
And what's not to love about the detailing on this bodice? And what's not to love about this lovely bride-to-be and this dreamy scenery? Such a romantic palette with the blush and bold red... wouldn't you agree? And totally fitting for Valentine's Day which is surprisingly just a week away! Thanks so much to these Virginia wedding pros for sharing these lovely captures with us. Such a dreamy bridal session, if you ask me! No Comment to " Blush and Red Velvet Snowy Bridals "